This page last revised August 26, 2015. 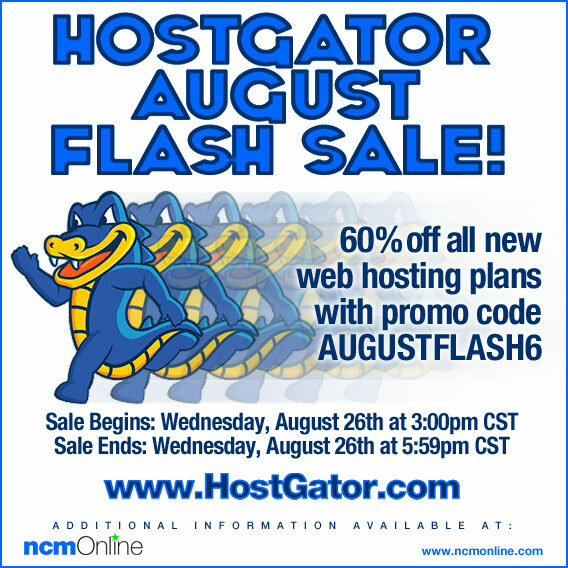 Shop now and receive 60% off any new HostGator web hosting package. Use promo code AUGUSTFLASH6 in your cart when you order. Sale Begins: Wednesday, August 26th at 3:00 PM CST. Sale Ends: Wednesday, August 26th at 5:59 PM CST. Restrictions: Discount not applied to Optimized WP Packages.